These choices have been made to reflect the characteristics of each circuit and the all-new 2014 cars, bearing in mind all the data that has been obtained from the three pre-season tests. The teams were able to complete their assessment of Pirelli’s new compounds over the last four days in Bahrain, with the final test finishing today exactly two weeks before the start of the opening grand prix of the season. Consequently, many teams focussed on qualifying and race simulations. The results of the final test showed an increased performance gap between the hard and the medium compound, and the medium and the soft compound: the two combinations of tyres that will be used at the first four races. This will give plenty of scope for the teams to formulate interesting strategies to boost their race prospects. The characteristics of the 2014 P Zero tyre range were in line with expectations in Bahrain, maintaining similar performance to last year but with less degradation. There was no blistering and very little graining, underlining the performance of the latest compounds so far in a wide range of conditions. There was also a reduction in tread wear levels. As expected, the teams completed the biggest distances seen yet during the final pre-event test in Bahrain. In total, 762 laps were covered during day one, 868 laps during day two, 803 laps during day three, and 874 laps during day four. This makes a total of 3307 laps for four days, compared with 2322 at the previous Bahrain test. 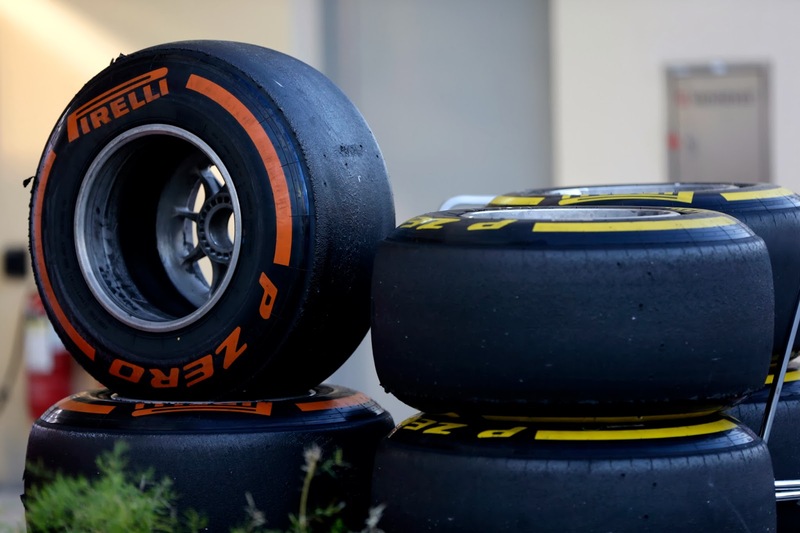 Teams had a maximum of 30 sets of tyres per car to test in Bahrain. Pirelli chose 22 of those sets and the teams were then able to choose in advance the remaining eight sets, up to their maximum permitted total of 30. In total, 135 sets of tyres are allowed per team for testing purposes throughout 2014. The performance differences seen in the second Bahrain test between the compounds are approximately as follows: the supersoft is around 0.7s per lap faster than the soft, the soft is around 1.3-1.5s per lap quicker than the medium, and the medium is around1.3-1.5s per lap quicker than the hard. These gaps are expected to come down as the teams improve their understanding of the tyres during the season. The total testing distance completed so far this year, combining Jerez and both Bahrain tests is 7,099 laps and 36,974 kilometres. This time last year, the teams had completed 10,902 laps and 49,942 kilometres of pre-season testing (Jerez and two Barcelona tests 2013 combined). Williams driver Felipe Massa set the fastest lap of this Bahrain test, with a time of 1m33.258s on Saturday with the P Zero Red supersoft. By way of comparison, the fastest lap in Bahrain at the previous test last week was 1m33.283s, set by Nico Rosberg (Mercedes). The fastest race lap at the Bahrain Grand Prix last year was 1m36.961s, set by Red Bull’s Sebastian Vettel. Pole position at the Bahrain Grand Prix last year was 1m32.330s, also set by Rosberg. The highest number of total laps completed at this year’s Bahrain test by any one driver was 236 laps from Valtteri Bottas (Williams). Force India driver Sergio Perez set the second-highest total, 213 laps.